Chase Hill is a Lead Advisor with Heritage. As a Lead Advisor, he is responsible for the coordination of investment management, financial planning and tax services for clients. Chase is responsible for managing the client service team. Chase joined Heritage in 2005 when the firm was founded. 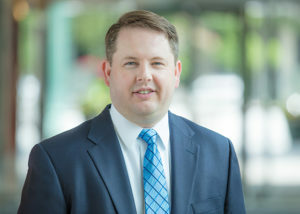 Chase is a member of the Central Virginia chapter of the Financial Planning Association (FPA), The Estate Planning Council of Richmond and The Richmond Private Business Study Group. Chase volunteers with Junior Achievement of Central Virginia and is a member of the Board of Trustees for Trinity Episcopal High School. Chase attended Virginia Tech and earned his Bachelor of Science degree in Business Administration from Old Dominion University. Chase is also a CERTIFIED FINANCIAL PLANNER™, CFP®.